High blood pressure, or hypertension, occurs when the blood exerts too much pressure on blood vessel walls. It’s able to cause other health problems and potentially lead to serious and life-threatening events. 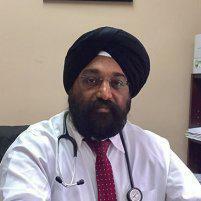 Dr. Inderjit Singh Kainth of Brunswick Internal Medicine Group PC can develop a treatment plan that fits your needs. Call the offices in Kendall Park and Metuchen, New Jersey today for an appointment. One of the most dangerous aspects of high blood pressure is that it can reach serious stages before any symptoms appear. Some patients experience headaches, nosebleeds, or shortness of breath. Unfortunately, there’s no pattern or predictability to these. Usually, they don’t occur until high blood pressure reaches a dangerous stage. When should I have my blood pressure tested? Blood pressure testing is easy and free of any side effects. Everyone 18 years old and older should receive a medically supervised blood pressure test at least every 2 years. Those over 40 may want to check their blood pressure more often, as should anyone with 1 or more risk factors that increase the odds of developing hypertension. Health resource centers offer blood pressure screenings, and these are a terrific resource. You can’t over-check blood pressure. Automatic blood pressure readers, such as those found in drug stores and pharmacies are a good resource. However, since arm cuff size is crucial for accurate results, these are less reliable than a test administered by Dr. Kainth or a clinic nurse. What creates risk for high blood pressure? Age: Generally, the risk of hypertension increases with age. Family history and race: Incidence of hypertension tends to run in families, and it’s quite common among certain ethnicities. Body weight: Obesity complicates blood distribution, causing the heart to work harder. In addition, diet tends to aggravate the health of heart and arteries. Physical activity: An overly sedentary lifestyle typically leads to higher pulse rates, as well as contributing to weight gain. Tobacco use: Chemicals in tobacco products increase blood pressure temporarily with each use. Continued use can damage arteries. Too much salt: Retaining fluid, a function of salt in the body, can increase blood pressure. Stress: A temporary contributor to hypertension, over time, stress takes a toll, particularly in a patient who reacts by eating more, smoking, or drinking excessively as a way to cope.